New Parent Trainings Coming in 2017! 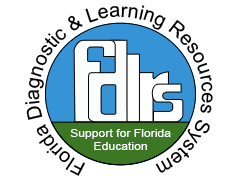 FDLRS Reach of Broward County is a collaborative network that supports educators and families by providing learning opportunities ranging from prevention to intervention to maximize student achievement. FDLRS Parent Services brings you FREE learning opportunities for parents in 2017! Click here for information on our FREE webinars that you can participate in right from home! You can also attend in person parent trainings throughout the county! Growth Mindset for Parents will be offered on January 24, 2017 at 6:00pm at Challenger Elementary School. This training will focus on how parents can build a Growth Mindset in their children and even develop one themselves. When students believe they can get smarter, they understand that effort makes them stronger. Come learn how simple changes in the way you praise your child can make them into more successful students. 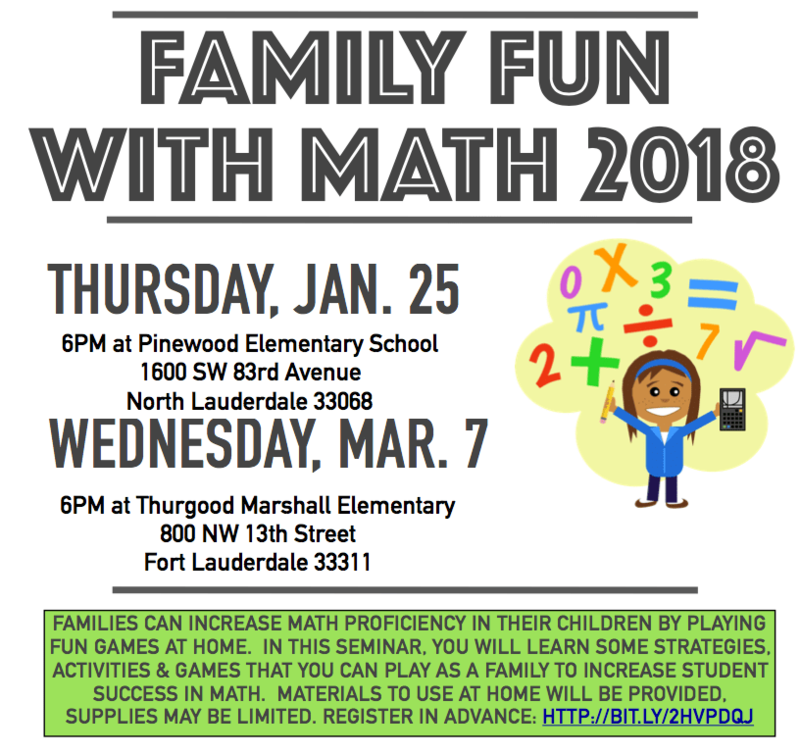 Family Fun with Math will be offered on February 15, 2017 at 9:00am at Arthur Ashe Campus and 6:00pm at Virginia Shuman Young Elementary School. 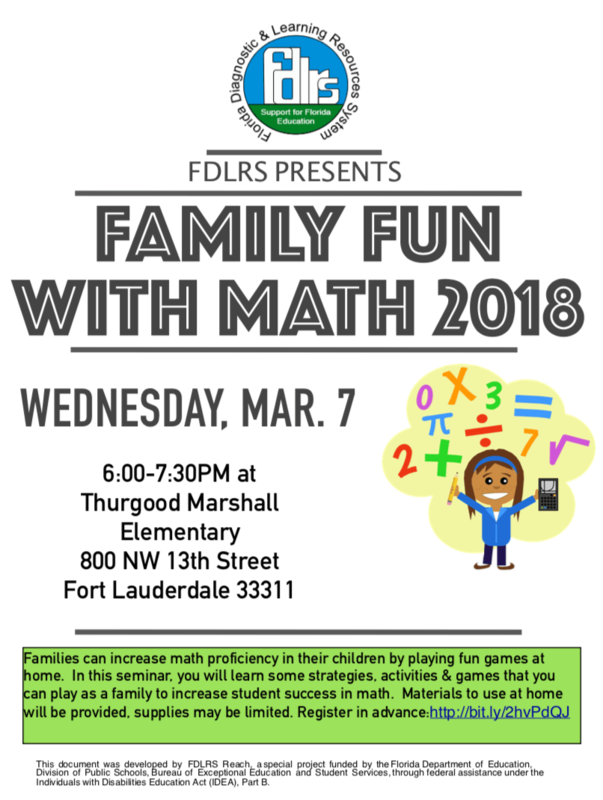 Families can increase math proficiency in their children by playing fun games at home. 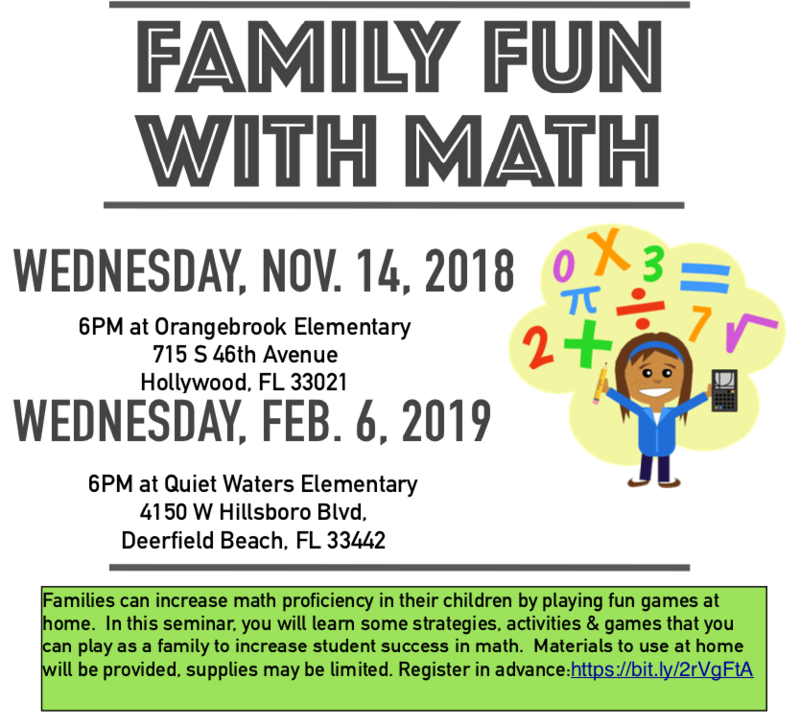 In this workshop you’ll learn some strategies, activities and games that you can play to increase student success in Mathematics.